The Department of Medicine comprises 220 beds and is staffed by 33 consultant physicians encompassing all major specialities. The successful candidate for this post will be working within the dermatology multidisciplinary team, providing a wide range of services. The Acute Medical Assessment Unit (AMAU) is a well designed and well equipped unit with 21 general beds, 3 rapid assessment/triage beds, 4 HDU (MSCU) beds and an immediately adjacent 6 bedded CCU. There is a well equipped skin patient treatment unit staffed by specialist nurses with UVB/PUVA equipment along with facilities for dressings and minor surgery. Dermatology patients with severe diagnosis requiring in patient care are admitted under the joint care of dermatology and medical teams and the department has a substantial outpatient unit. 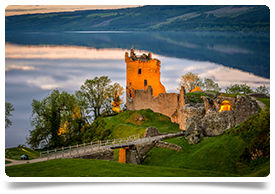 Culture, sport and entertainment in a scenic location - the Highlands and Islands has something for everyone. 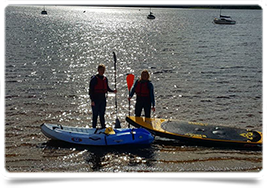 Its diverse and dramatic landscape is made for outdoor sports and leisure pursuits and the region is ideal for exploring a whole range of activities - from climbing, golf and fishing to sailing, skiing and hill walking. But it's not all about sport and the great outdoors. The arts play a huge role in Scottish Highland culture and identity - all over the Highlands and Islands there are plenty of opportunities to see, hear and get involved. Major rock, pop, folk and classical musical festivals take place in spectacular settings. And countless smaller venues deliver a thriving music, theatre and dance scene. The region has a rich and vibrant mix of cultural traditions, natural heritage and contemporary life. This, combined with a top-class education system, clean environment, low crime rate, affordable housing, excellent communications and a strong sense of community creates the perfect setting for family life. And a sound location for anyone looking to invest.